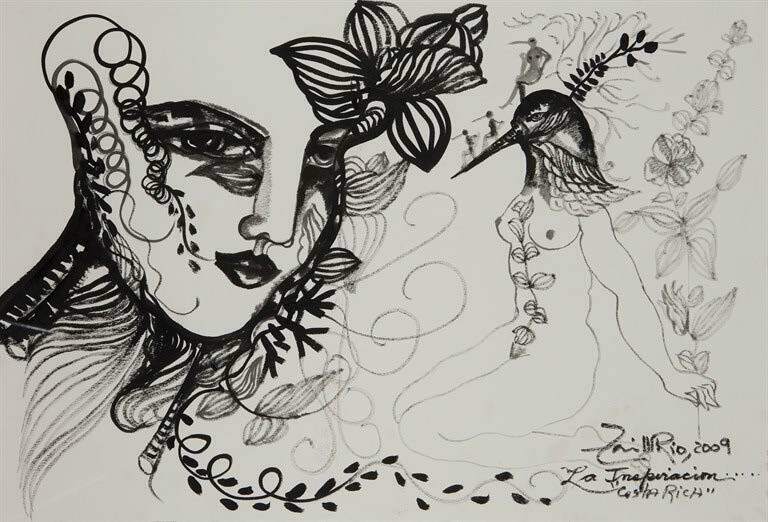 Zaida del Río is a painter, draftswoman, ceramics engraver and illustrator. She is a graduate from the Provincial School of Visual Arts in Cienfuegos (1971), the National School of Art in Havana (1974), the Superior Institute of Art in Havana (1987) and the Ecole des Beaux Arts in Paris, France (1989). Among her most important solo exhibitions are Narrations (1978), Notes from Our Countryside (1981) and Queens of Hearts (2006), all at the National Museum of Fine Arts in Havana; The Angel’s Signal (1989) at the International Center of Graphic Arts in Rome, Italy; Barcelona’s Dreams About Dali’s Death (1989) in Barcelona, Spain; Proverbs in the Registry (1992) at the Evasion Gallery in Sao Paulo, Brazil; The Bewitched Earth (1997) at the Alcala de Henares University Madrid, Spain; and Thirst for Flying (2008) at the Museum of Modern Art in Cuenca, Ecuador. 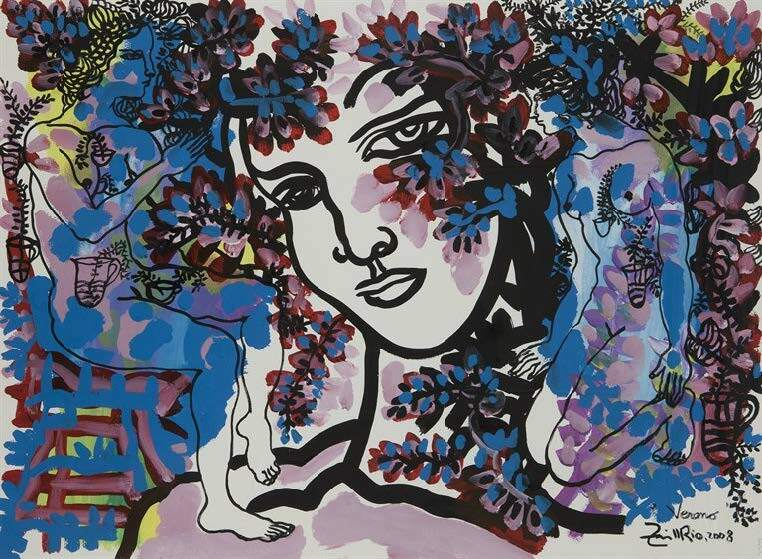 She has also exhibited in other important spaces such as Bermanos Gallery in Paris, France; Via Larga Gallery in Florence, Italy, as well as Promo-Arte Gallery, Sapporo-Hokaido’s Contemporary Space and Schimizu-Shizuoka Gallery, all in Japan. 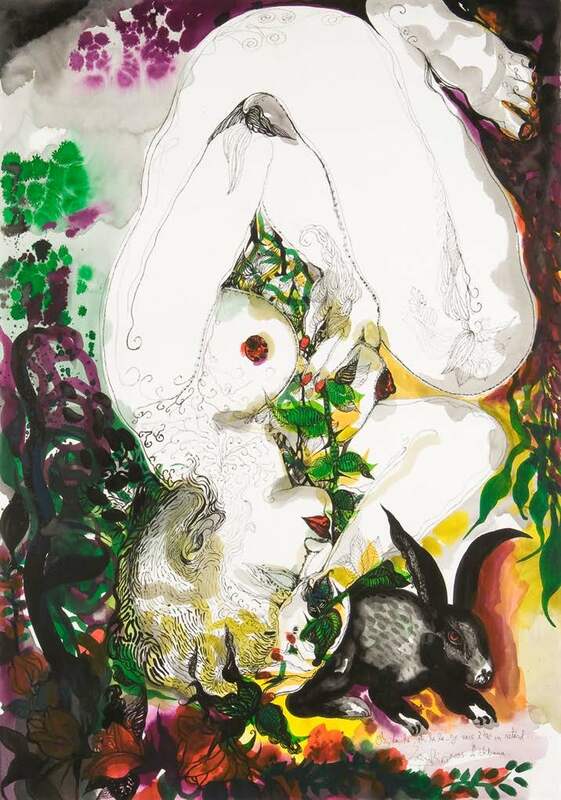 Her works have been awarded with several distinctions such as the Drawing Award at the UNEAC National Visual Art Salon (Havana, 1979), the Joan Miro International Drawing Award (Barcelona, Spain, 1984), the Painting Award and Gold Medal at the Cairo Biennial (Egypt, 1993) and the Tenri Biennial Award (Japan, 1997). 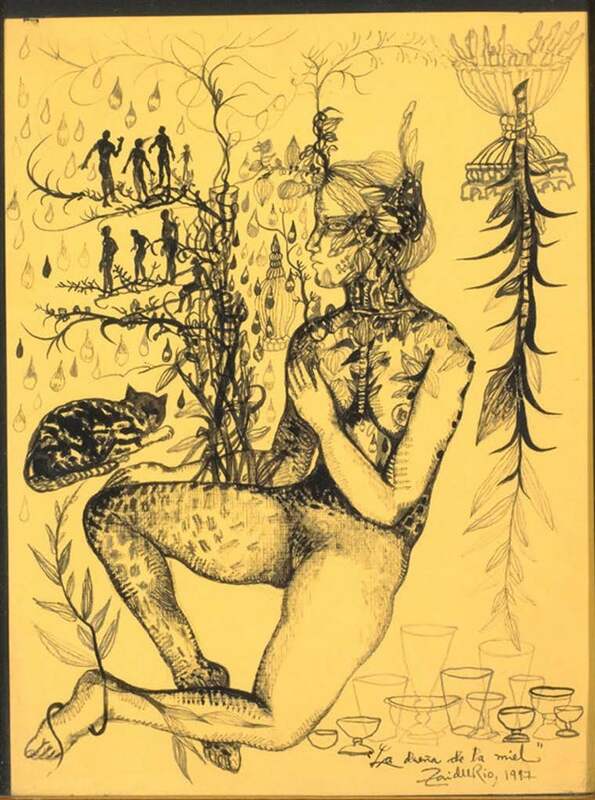 La dueña de la miel (The Mistress of Honey), 1997. Ink on paper. Framed: 20 1/2 x 16 1/2 in. Object: 15 3/4 x 11 3/4 in. Fe, Esparanza y Caridad (Faith, Hope and Charity), 2001. Watercolor on paper. Object: 27 1/2 x 39 in. Framed: 34 3/4 x 46 3/4 in. Trilogía Trilogy, 2008. Oil on canvas. Object: 40 1/2 x 19 1/4 in. Framed: 46 1/4 x 24 1/2 in. Verano Summer, 2007. Acrylic on canvas. Object: 13 1/2 x 17 1/4 in. Framed: 14 1/2 x 18 1/4 in. Colores de la vida (Life's Colors), 2007. Acrylic on canvas. Object: 20 1/2 x 9 in. Framed: 21 1/2 x 10 in. Verano Summer, 2008. Acrylic on paper. Object: 22 x 30 in. Framed: 27 x 35 1/4 in. La inspiración...Costa Rica (The Inspiration...Costa Rica), 2009. Ink on paper. Object: 14 x 20 3/4 in. Framed: 18 3/4 x 25 3/4 in. Oh, la la, oh, la la.... Je vais être en retard... (Oh, La La, Oh, La La... I'll Be Late), 2005. Watercolor and ink on paper. Object: 39 x 27 1/4 in. Framed: 46 1/2 x 34 3/4 in. 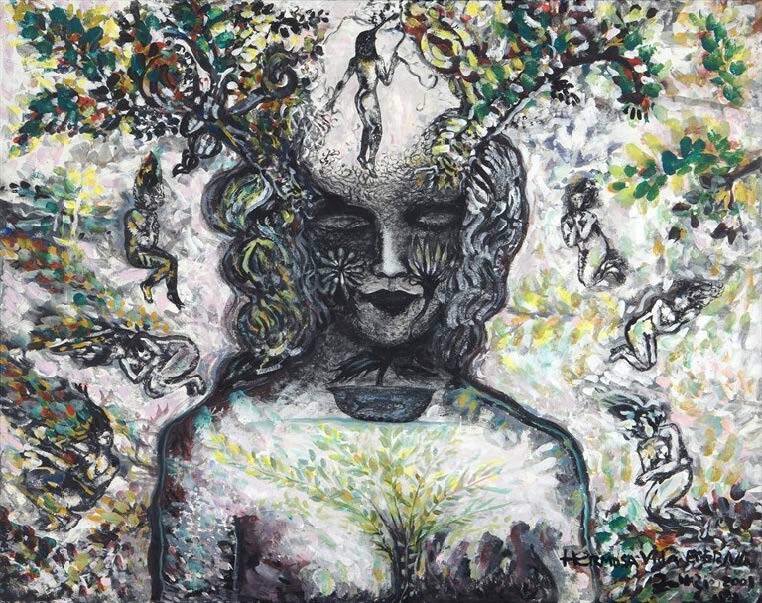 Alegoría del otoño (Allegory of the Autumn), 1995. Watercolor, ink and acrylic on paper. Object: 39 x 27 1/2 in. Framed: 46 1/4 x 35 3/4 in. Hermosa vida eterna (Beautiful Eternal Life), 2001. Oil on canvas. Object: 31 x 40 in. Framed: 32 7/8 x 40 7/8 in.